Sometimes the best things in life are the unexpected things. 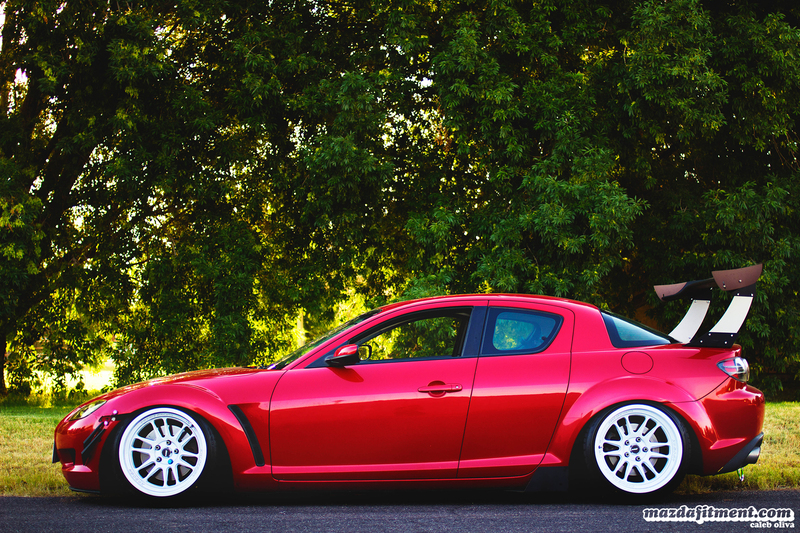 Caleb Oliva’s 2004 Velocity Red RX-8 is a prime example of something that came into his life in an unexpected way. The love for cars was passed onto Caleb by his dad, and resulted in the short lived dream of having a Honda Civic EG hatch, but ended up with a modified Civic EK hatch. 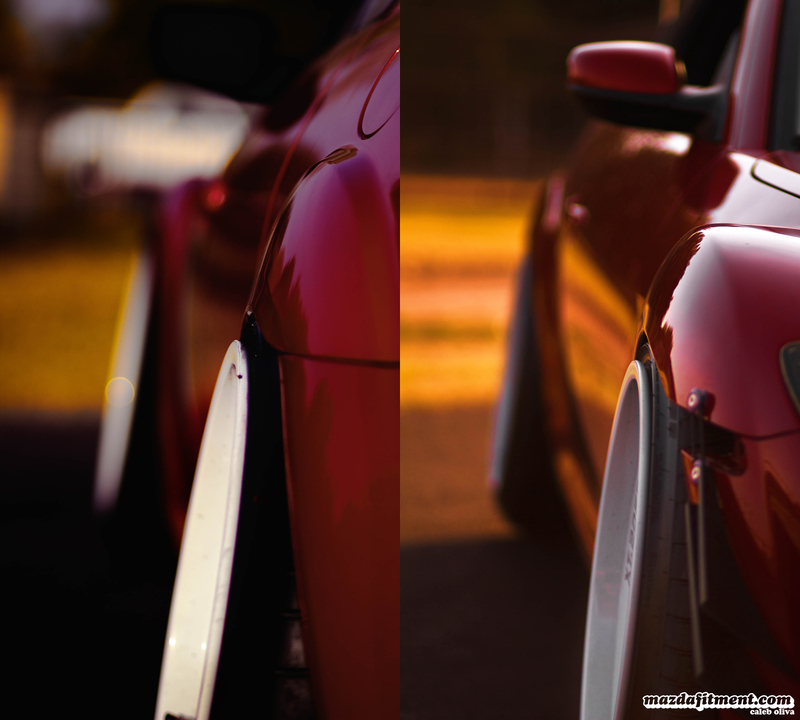 Caleb started going to street races with his friend David in the EK, and eventually David showed him what aggressive fitment and proper styling looked like. 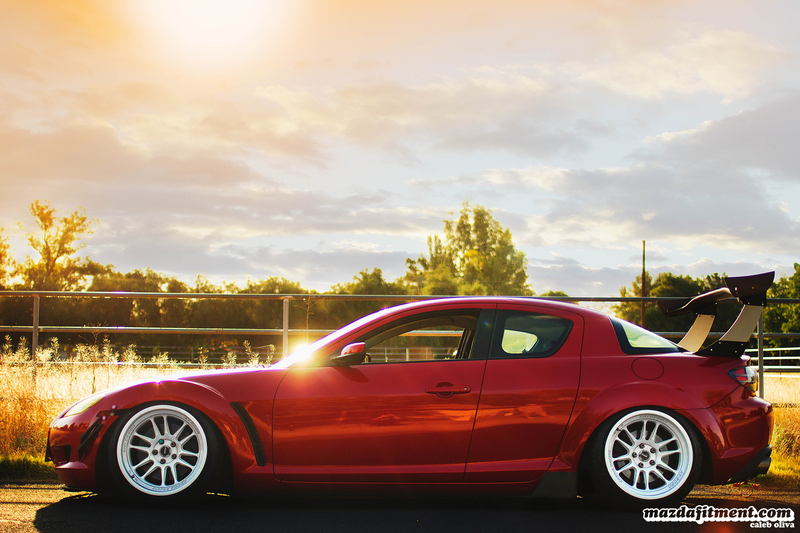 Because of this Caleb traded the EK for a stock Honda Del Sol, and began modifying that slowly. 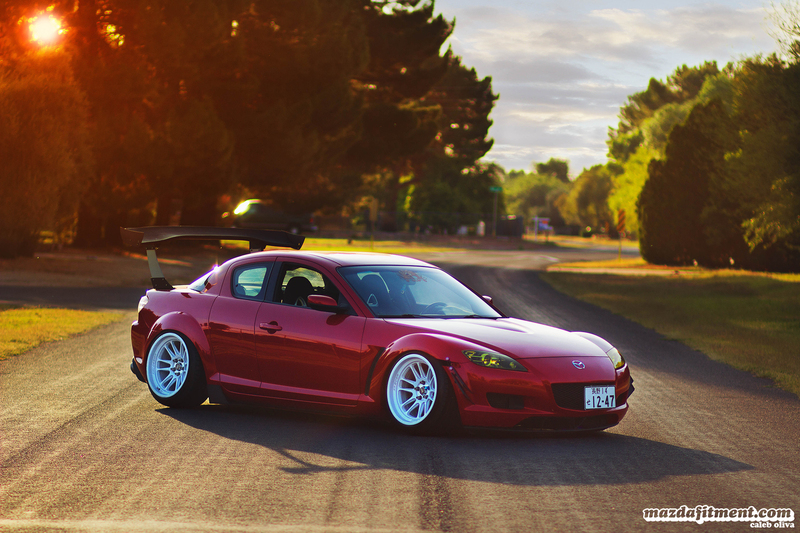 However, even this did not last after Caleb was blown away by a RX-8 on the streets that just flew right past him, and intrigued his interests. 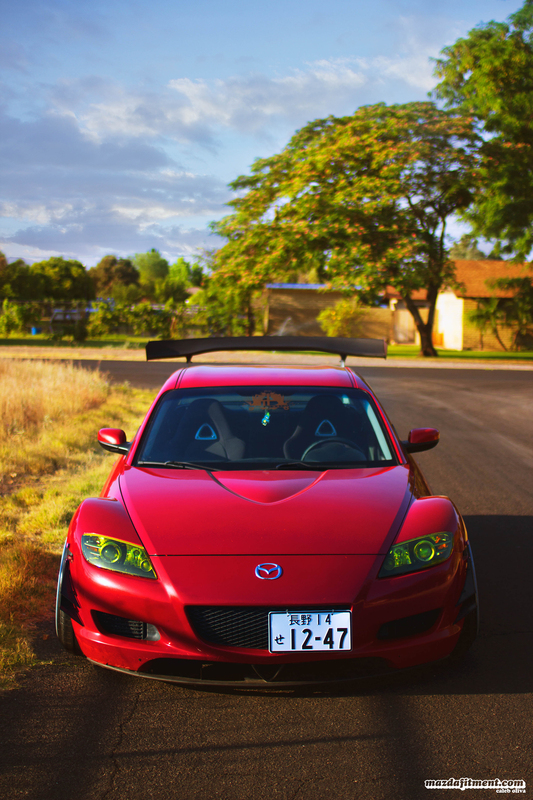 It wasn’t until 2013 that he had the opportunity to finally get the car that took him unexpectedly; he finally got the RX-8 after his BMW E21 got totaled. The car is far from done, and is now at a kind of awkward in between stage, but with proper execution can be appealing. 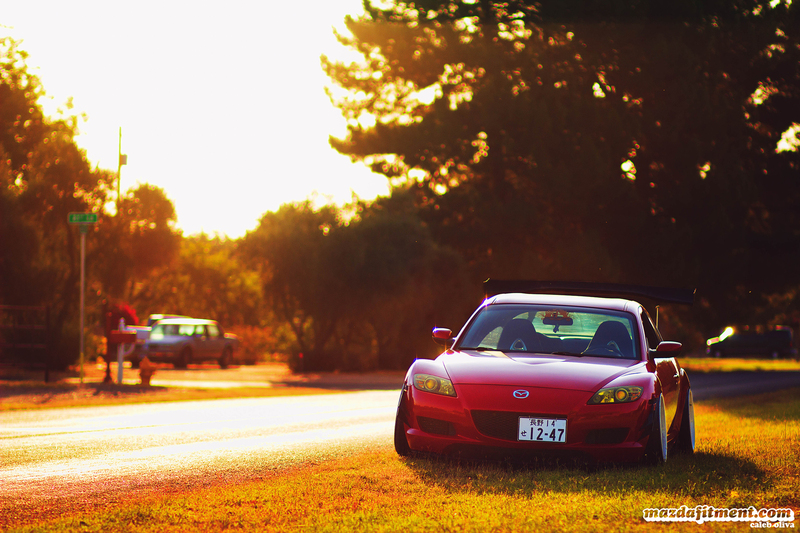 Some people like this in between stage, and call it “trance.” Trance is the combination of two styles; track styling and stance styling. 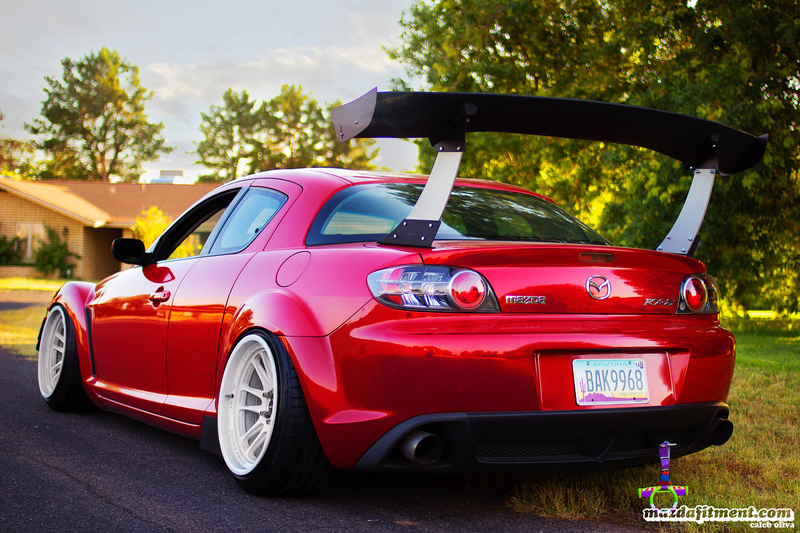 The body lines of the RX-8 are some of the greatest around, so that is why Caleb is not trying to run a kit. 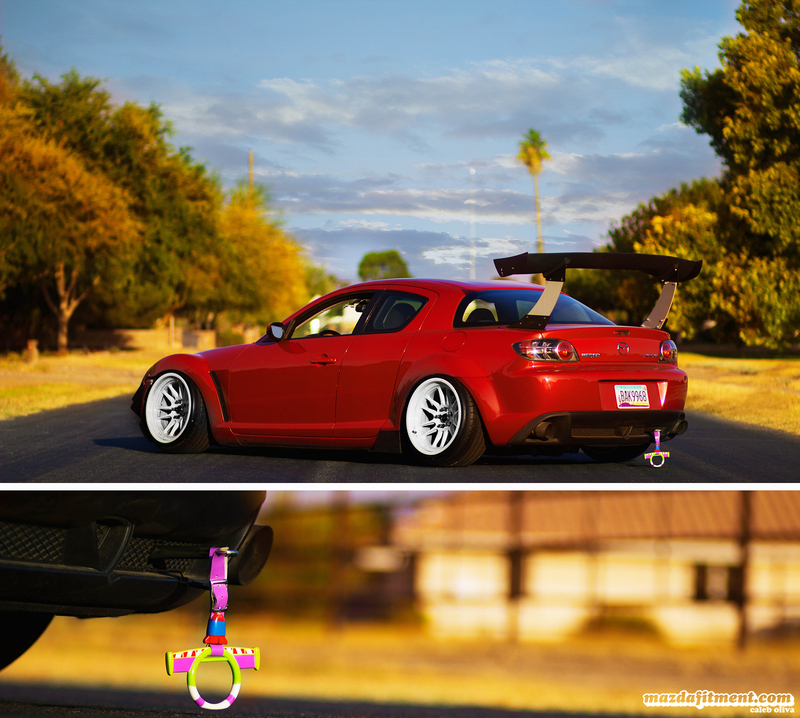 He is trying to make a racing style front splitter, side diffusers, and rear diffuser that can compliment the stock body lines. Caleb has given up on caring about buying the “newest realest” car parts, but instead try to make everything and build this car with his own two hands. He doesn’t want to reply on anyone to build his car for him. 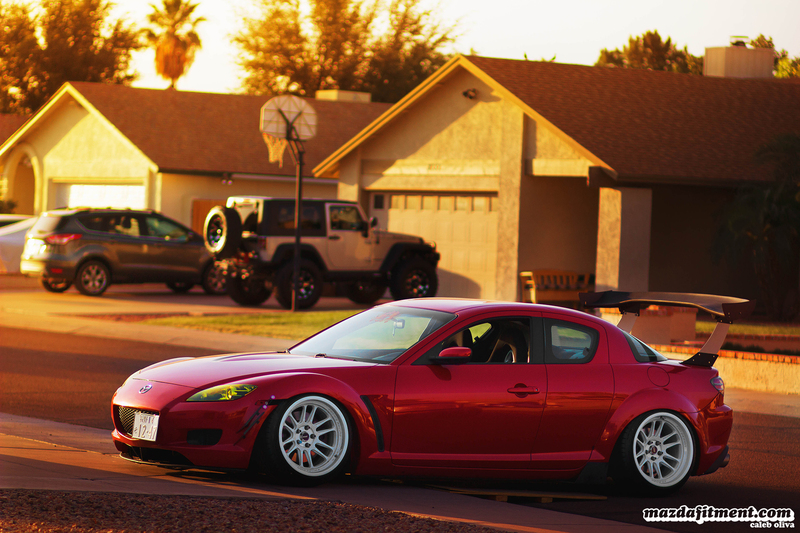 The car sits beautifully on Cosmis Racing XT-206R in 18×11 +8 all around with Ksport coilovers with modified rear struts. Caleb would like to thank his parents for always been supportive, especially his dad for always been on his back under the car with him; never can appreciate that enough. Also, to James Schwarts and Sam haring for always pushing him and inspiring him. And lastly, his wonderful girlfriend Kacey, who has always been there for him, and helped with everything from financially to massaging his back after he has put it out aligning the car. He loves you and thanks you. Hope you guys enjoy the unexpected things in life. Thanks.